Philipp Lahm – How will his Retirement Impact Bayern? Philipp Lahm is going to end his career at the end of the 2016-17 season. This information was leaked during Bayern München’s DFB-Pokal round of 16 match against VfL Wolfsburg. In the past, it was often speculated that Lahm could takeover as the new sporting director at the Bavarians. The position has been empty since Matthias Sammer left the club in the spring of 2016 after he was diagnosed with a minute circulatory disorder in the brain. In an extraordinary meeting with Bayern’s board, however, Philipp Lahm announced that he would not be available for the sporting director position next summer. Instead, it is believed that the 33-year-old right-back and defensive midfielder wants to become the new chairman of the club in 2019. The 61-year-old Karl-Heinz Rummenigge, who could either retire at that point or replace Uli Hoeneß as the new president of the club, currently occupies the position. Bayern are also understood to favour Borussia Mönchengladbach’s Max Eberl as the new sport director at the club. Philipp Lahm – Why is he retiring early? Philipp Lahm’s early retirement (he is under contract until 2018) will rip a major hole into Bayern’s squad. The right-back is still one of the best players in the world on his position. But rumours from Munich have it that the wing-back is tired of tracking behind players that often are almost half his age. Former Bayern München head coach, Pep Guardiola, understood this, and moved Philipp Lahm into midfield during his first season with Bayern. The experiment was a great success. Philipp Lahm has always demonstrated that he is one of the most intelligent players on the field. His vision and ability to anticipate made him a perfect central midfielder. Guardiola often stated that he had never coached a more intelligent player. When it came to the national team, however, Philipp Lahm was required in the back four. 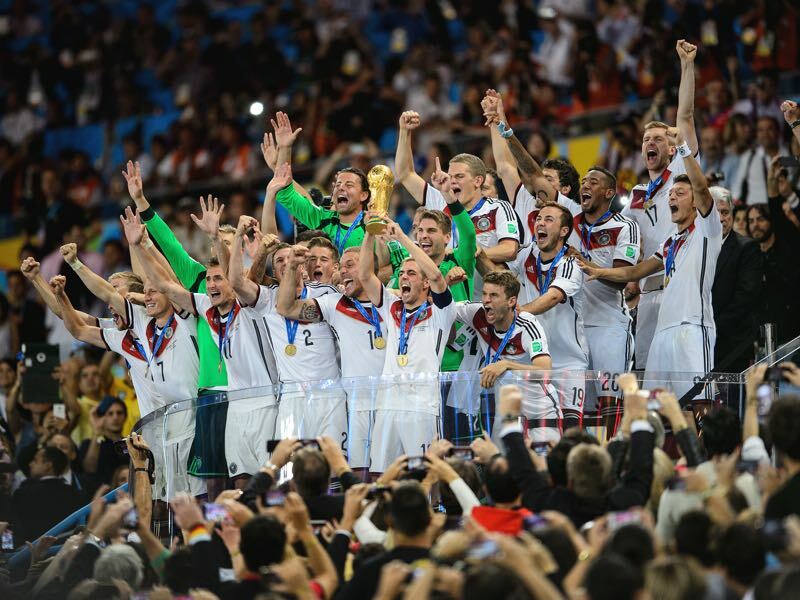 In fact, it was not until Joachim Löw moved Lahm back to right-back, that Germany clicked during the 2014 World Cup in Brazil and went on to win the tournament in convincing fashion. Yet Lahm was adamant he no longer wanted to play in the back four, and would rather be in the centre of the park where he could use his anticipation skills and vision—and which also allowed him to cut back on his work rate. Citing more need for recovery time Lahm, decided to call the end of his national team career following the World Cup triumph in Rio de Janeiro. Back in Munich, Lahm was still used primarily as a central midfielder by Pep Guardiola. Now, with more time to recover, and playing in a position that was less demanding on his body, Lahm believed that he could easily finish his career in 2018. Guardiola’s preference for playing Lahm in midfield must have also been one of the big reasons why Philipp Lahm was one of the players who tried to convince Guardiola to extend his contract in Munich. But the Spanish head coach had different plans, and left the club for Manchester City. At this point, Philipp Lahm must have felt that the writing was on the wall. Bayern München’s decision makers always believed that Lahm would be a willing servant for the club and would play wherever they needed him. Furthermore, many decision makers were adamant that Lahm was best when playing right-back. The Italian Carlo Ancelotti replaced Pep Guardiola last summer. Where Guardiola often experimented with three in the back, Ancelotti preferred a more traditional 4-3-3 formation, or 4-2-3-1. Furthermore, Ancelotti moved Lahm back to right-back on a permanent basis. Many felt that Lahm still had the energy to constantly run up and down the field on the right flank. The truth, however, was that Lahm’s body required more and more breaks. Furthermore, there were indications that he no longer felt he was on top of his game out wide. Those who have followed Lahm’s career closely understand that he has always followed strong principles. One of those was to end his career at the very top. With no prospect of playing at the centre of the park, Lahm, therefore, felt the time to stop was next summer. Bayern’s decision makers must be asking themselves whether they had done enough to convince Lahm to continue his career. Many at the club, after all, still feel that Philipp Lahm still has plenty to offer to the squad. Lahm’s premature retirement will now put a major strain on the club. The captain will be missed, not only on the field, but also in the dressing room. In fact, Lahm’s retirement will just be the first of many expected over the next two seasons. Alongside Lahm, Xabi Alonso will also likely call it quits this summer, and icons Frank Ribéry, and Arjen Robben could follow next summer. Lahm could be replaced immediately by Joshua Kimmich, who has shown, during the European Championships in France, that he can play at the highest level in Lahm’s position. Furthermore, Bayern will likely refresh the aging squad next summer with a big money move. But who will fill the void in the dressing room? The likes of Manuel Neuer, Jérôme Boateng, and Thomas Müller will have to fill the leadership role that Lahm leaves behind. Philipp Lahm’s departure, in many ways, will be the end of an era. Lahm was one of the core players who won the treble with Bayern in 2013, and also was decisive in Germany winning the World Cup. Also, as was recently pointed out during the World Football Index – Bundesliga Gegenpressing Podcast, Philipp Lahm has been an underappreciated player who, because of his position, failed to win individual accolades despite his performance the very top of the game for the entirety of his career.